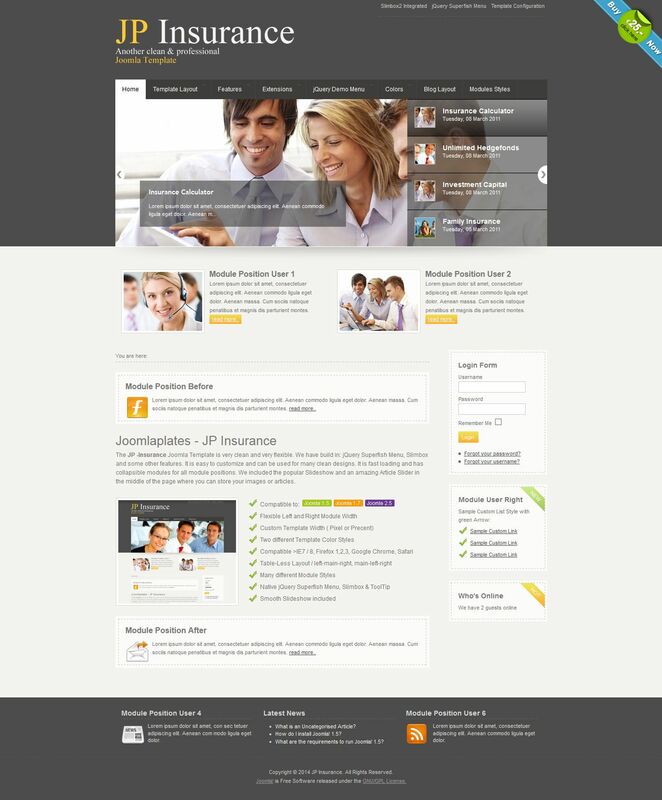 JP Insurance - very clean and flexible template which uses jQuery Superfish Menu and Slimbox developers Joomlaplates. This template has an easy set up and can be used to create any business sites. Faster loading pages and modular design ensure optimum site stylish appearance and studio popular modules and Article Slider Slideshow effectively allow to display content on the site.